I finally did it. 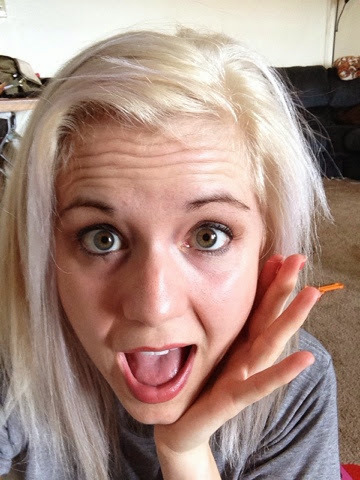 I pulled the trigger and went platinum blonde. And what's more is my sister did it. Thank goodness our cosmetologist sister in law was there to give us tips. I'm not gonna lie. 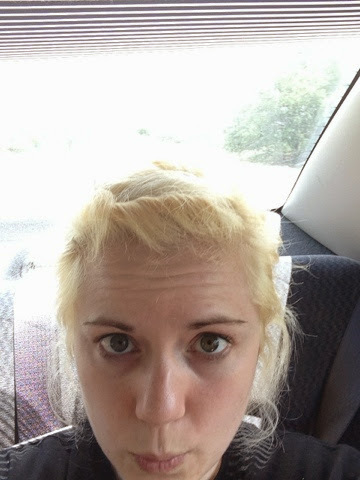 I looked like a yellow haired troll for a day before I could get my hands on some toner. Bad! So bad. 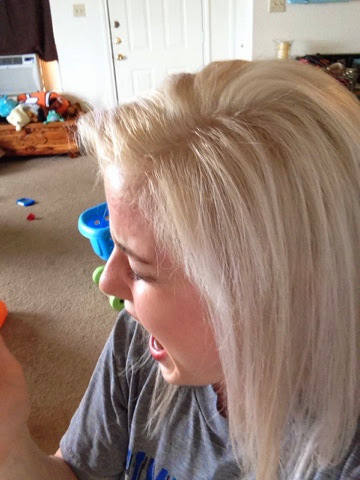 You're welcome for documenting the disaster that was my yellow head. Nothing more humbling than walking into Sally's with bright yellow hair and asking them which toner will fix it. Thank goodness all it took was about 5 minutes of that stuff and all the brassiness was gone. Love it! You are brave! Looks so good for summer!